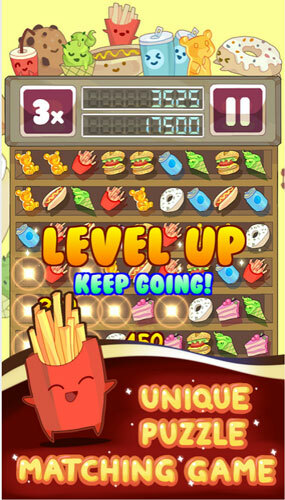 Vancouver’s Inkpad Studios would like to invite you to match n’ munch your way through a delicious game of Mega Munchies, currently available for Canada and New Zealand. This tangy match-3+ puzzle game will be sure to leave you drooling for more. Swap out flavourful food items one at a time to link three or more scrumptious munchies and clear the board. Trigger a cascade of sizzling reactions, collect tasty bonus points, and devour your way to the top of the leaderboard. So what are you waiting for? Challenge yourself and take your game to the next level. Bon Appetite! * Free Unlimited Play In The Popular Zen Mode is available for everyone for a limited time during the beta testing period! We appreciate you helping us test the game! Thank you! Your comments and input are important to the developers. During the beta period, they will be tweaking game play, points, leveling, rewards and almost everything else based on player feedback. Become a fan on Facebook or follow the game on Twitter and get the latest news for Mega Munchies. This entry was posted on Thursday, April 30th, 2015 at 12:07 pm and is filed under Casual, Everyone, Mobile, National News, New Releases, Puzzle. You can follow any responses to this entry through the RSS 2.0 feed. You can leave a response, or trackback from your own site.